To help search engines such as Google or Duckduckgo to get a better understanding of the content you have displayed on your website, you can use “Structured Data”. Structured Data is a list of details about the web page, that isn’t rendered on the actual page for users to see, but can be picked up by search engines, such as Google, to provide them a better understanding of the information displayed for the end user. What is Structured Data used for? 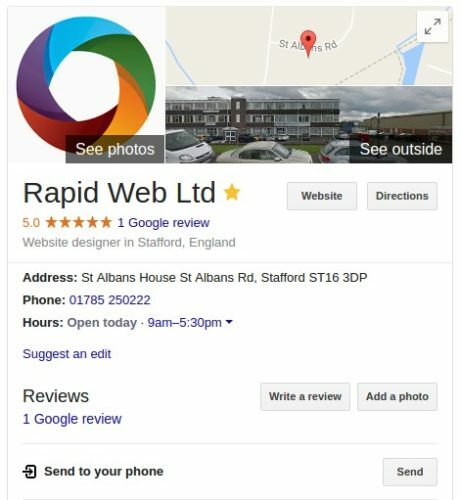 Local Business rich snippets are one of the more used structured data formats on websites. It’s useful for allowing Google to know who you are as a business. Local Business structured data contains useful company information such as company address, contact telephone number and opening hours. This data is usually used by search engines such as Google to display on the right-hand side of search results when the user has searched for a company name. The Products structured data is essential for any e-commerce business. It allows products to be browsed directly on the search results page. To create valid structured data for products, you will need to supply a name and product image. It is also recommended to supply extra information such as a description, product code, brand, review, ratings and offers. When running a website which contains articles, such as a blog, you can create structured data to integrate with Google’s “Accelerated Mobile Pages” (AMP) project. This enables mobile users to reach your content faster than non AMP-enabled websites, as Google prioritises AMP-enabled articles by adding them to the top of mobile search results. 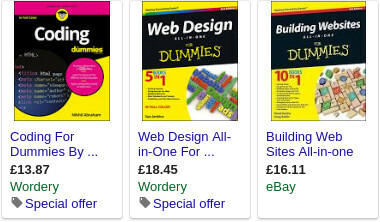 Books rich snippets are excellent for when an author is marketing their book. 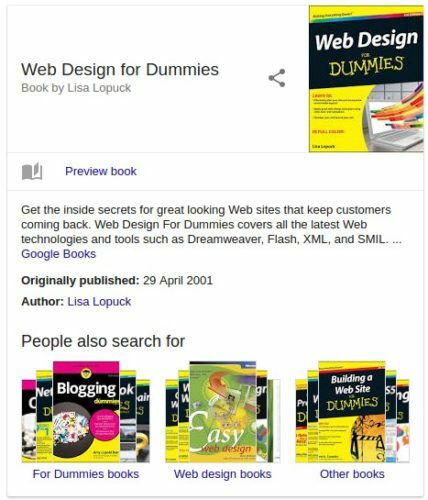 With Books rich snippets, when a user searches for a particular book on a search engine like Google, then a big display is shown with useful information such as Book cover image, blurb, published date, reviews and where to buy the e-book version (if one is available for sale). Does your company sell training courses? You might be interested in offering structured data for each course you have available. This will allow search engines to display courses available within search results when the end user is searching for a particular course. Datasets structured data is useful for websites that host scientific, civic and government data. This allows the data to be discovered easily in search results similar to other rich snippets. Events structured data is used for a variety of different performances. For example, if a user searched for a famous musician while there is a tour going on, then a list of tour dates for that artist can be displayed. Google offer different uses of events rich snippets. For example, the data isn’t only used when someone is searching for an artist. If they search a specific venue, then a list of events will be displayed under the directions information that is generated using Google Maps. This is useful for festivals, theatres and sports arenas to advertise upcoming productions. The fact check structured data is to allow search engines to display if the claims stated on the website has been fact-checked by the website the content is hosted on. Music rich snippets allow the user to search for an album or artist to find out more information such as tracklists, music services to listen to the music on and release date of an album. Podcast structured data offers you the ability to display tracklists of each podcast episode as well as the podcast listening services that host the podcast. Recipes structured data is useful on cooking websites – it allows the user to browse the ratings of the recipes, total time it takes to create the food and nutritional value such as calories. Some search engines allow for an overview of critic reviews when someone searches for a film, business or book. These are usually displayed at the top of search results or in a separate tab. TV & Movie rich snippets allow users who are searching for a particular show or film to get detailed information about the production such as episodes released, cast, director or duration. The video rich snippets are useful for indicating to search engines that the content on your web page contains a video. This allows the search engines to provide a thumbnail of the video content as well as optional information such as duration.